With the arrival of the rainy season comes the re-emergence of a common household problem: mold. The reality is there is no such thing as "toxic mold". There are some mold species that are "toxigenic," that is they produce "mycotoxins." With the arrival of the rainy season comes the re-emergence of a common household problem: mold. Mold (or mould if you prefer) is a non-scientific term for a varied group of fungi. Molds existed on the planet long before humans and will likely exist long after the last humans are gone. Humans evolved in a world heavily populated by molds and virtually every breath we take, indoors or out, brings us in contact with mold spores. Given its ubiquity, you might wonder why I would want to write about mold? Well in the last 20 years an industry has built up around the idea of "toxic molds." This industry preys on our fears and ignorance with mold being described as "black gold" in some circles. It has been argued that our current generation of mold panic can be directly linked to U.S. Centers for Disease Control (CDC) studies in 1994 and 1997. At that time, the CDC incorrectly linked lung damage in children to the presence of Stachybotrys chartarum mold. In 2000, this linkage was retracted by the CDC. Unfortunately, by then the damage was done and a few very lucrative lawsuits later, the "toxic mold" industry was born. Sufficient epidemiological evidence is available...to show that the occupants of damp or mouldy buildings, both houses and public buildings, are at increased risk of respiratory symptoms, respiratory infections and exacerbation of asthma. Some evidence suggests increased risks of allergic rhinitis and asthma. Although few intervention studies were available, their results show that remediation of dampness can reduce adverse health outcomes. Now I am not saying that mold is good for you as that is clearly not the case. Molds can and do produce spores that can act as human allergens. At high enough concentrations mold spores can even induce headaches in people who are not directly allergic to mold. As well persons with immunosuppressed conditions should be especially careful to reduce exposure to molds. Molds can also damage and weaken structures. But on a day-to-day basis, molds and mold spores are not a significant risk to a healthy individual. 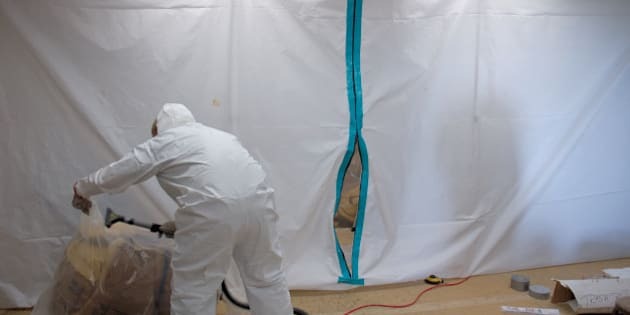 The take home message from this blog is simple: it is not some "toxic mold" that is making people sick, it is living in conditions conducive to mold growth that is bad for human health. As such mold can serve as a useful indicator. If you see mold it is time to deal with the conditions that are likely to make you sick sometime in the future.